Click on your profile picture at left bottom and then Profile > Edit Details > Username > Save Employee. 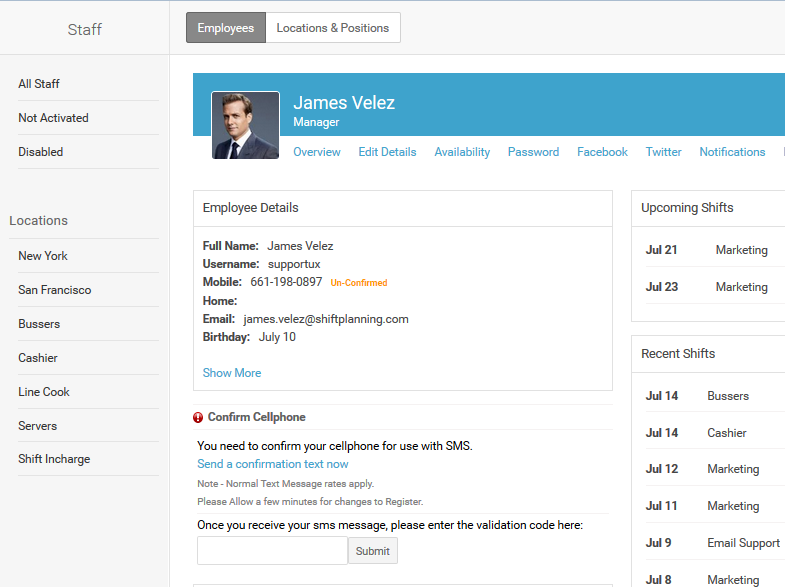 Usernames can be managed from within the employee profile. This is available for all individual users to manage for themselves and also for management to update for staff alongside the rest of the profile details.